The increasing adoption of artificial intelligence has lead more and more executives to ask what role the powerful technology could play in their organization. It is no question that AI is and will continue to revolutionize the way businesses interpret data, interact with customers, and discover opportunities. However, before making the switch to becoming an AI powered organization, there are a few very important questions organizations should ask in determining readiness. Here are 3 crucial components that should be thought of as prerequisites before taking the plunge into AI, so let’s dive in! After listing each component, I’ll provide detail on how to approach them – allowing your company to be one step closer to making the most of Salesforce Einstein. It’s not a question of having data, but how quickly you can find, access, and leverage it. To take full advantage of the capabilities of Salesforce’s AI product suite, there needs to be a significant level of unification among data. Many companies, having built their solutions in silo, are left with disparate systems where important data resides. This leaves some companies experiencing a downside to owning so much data. That’s right! In some cases, data could be a culprit. According to a report by IBM’s Bluewolf – “72% of salespeople from small businesses report data inconsistencies as the No. 1 cause of their incomplete view of their customers” (The State of Salesforce, 22). In cases that involve multi-step, longer sales processes that depend on many variables – salespeople are required to search for information in places they haven’t had to look before to meet customers and prospects with relevant interactions. This can prove to be an issue in a sales cycle where time is crucial. 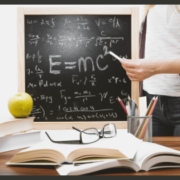 On the other hand, a sales team powered by artificial intelligence and backed by accurate and organized data can leverage powerful tools such as Salesforce’s Einstein Opportunity Insights and Lead Scoring – which can accurately determine the likelihood for a new conversion or give recommendations when a customer is likely to buy. For this reason, many companies are finding the value in efforts of consolidating, standardizing, cleaning, and reorganizing the way data is captured and stored, including finding ways of integrating their disparate systems. With a 6.5 Billion Dollar acquisition of MuleSoft, Salesforce is poised to be the premier one-stop solution for both integration and AI solutions. Your business processes determine the success of your organization. Identify bottlenecks in your process and eliminate them. When your business has been doing things the same way for a long period of time, it’s difficult to change, which is why it’s imperative to take a proactive approach when evaluating your business process. So what’s the first step? While it may have made Simon Sinek famous, 3-year olds have been using this technique for years: Start by asking why. To see how ‘why’ can help you, take your current sales process as an example. Start with the time you qualify a lead to the time they pay their first invoice. For each step in your process, ask yourself why it is done that way. Repeat the ‘why’ question at least 5 more times and you may begin to gain new perspective. Go to the next stage of your process and repeat. This is a simple way of looking at an important business process that at its core is a way of reasoning from first principles. It breaks down a complex process into smaller, fundamental parts, getting to the heart of an issue. Bring in your Director of Operations, Sales, Business Development, and IT, and try the same exercise to see what they come up with! Many companies have taken the first step toward a faster sales process by adding configure, price, and quote (CPQ) application suites. And while implementing a CPQ solution results in higher close ratios and greater revenue, it’s only one piece of the larger quote-to-cash solution. To review vendors that are strong players in this market, head over to G2 Crowd for more insight into which applications are the best fit for solving your most pressing business challenges. There is also a deep pool of talented Salesforce professionals who can guide your company through the discovery process to maximize your investment with Salesforce.com. Artificial Intelligence is and will continue to change the way companies interact with their customers. Know how your customers will react to AI. Despite the positive ways that AI is impacting the world, there is still a lot of hesitation to adoption. The world is in the middle of what tech leaders, including Salesforce’s Marc Benioff, are calling the fourth industrial revolution. All aspects of life are being transformed by a new era of technology. A lot of people, understandably, are critical of AI’s ability to replace jobs, skills, and human interaction. It is the organization’s job, therefore, to understand the relationship they have with their customers and determine how they will react. A prospect for a new Aerospace technology may react differently to being told that they were discovered by a machine learning algorithm than a contractor – who prefers personal interaction. In addition, consider how your sales team communicates with clients. Is your sales cycle a long, multi-faceted process? Or is it based on a series of one on one conversations. These questions are important to your organization and provide insight to how Salesforce Einstein will score leads. As an organization, Salesforce recommends “taking into account a customer’s unique journey with their organization” (The AI Revolution, 13). How you build relationships with customers should determine how your organization approaches a Salesforce AI strategy. With easy access to clean data, a clearly defined business process, and fundamental knowledge of your customer, you are on the right track towards leveraging AI to accelerate momentum within your organization. If you are challenged with getting the most out of your Salesforce investment, reach out to Pinkus Partners to speak with a Salesforce consultant today. Salesforce Spring 2018 release notes show 9 improvements on the way for Configure Price Quote and Billing tools. Get the full scoop here. Salesforce recently published its Spring release notes (all 485 pages of them). It took a couple pots of coffee, but I was able to hone in on the #1 concern of Salesforce users – Salesforce CPQ. Instead of having you slog through all 485 pages of release notes, I’ve pulled the most relevant CPQ news together in the post below. Most people in the SFDC ecosystem know that Salesforce acquired SteelBrick for $360 million. This is a clear signal from the SFDC powers that be that Salesforce CPQ is a key area of opportunity for the company. Both users and analysts seem to agree. Gartner predicts the CPQ market will continue to increase at a compounded annual growth rate of 20% through 2020. If those numbers hold true, you’ll be hard pressed to find a company not using a CPQ tool in a couple years. By automating both quoting and billing, Salesforce is leading the way in providing companies with a full quote-to-cash solution. Why is that important to SFDC users? The sooner you can provide a quote or send out a bill, the sooner you’ll be able to realize revenue from customers (and the sooner your customers will realize the value of your services, of course!). 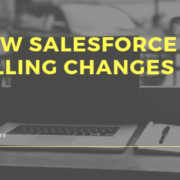 If you’re interested in tapping into this CPQ revolution before you end up labeled a laggard, read on to learn more about the 9 Salesforce CPQ and Billing changes launching this spring. Create and manage your quotes and orders with Salesforce CPQ. These changes apply to both Lightning Experience and Salesforce Classic. Your sales reps now have an easier way of selecting several options in certain Salesforce CPQ Visualforce pages. Users can shift-click to select several lines at the same time. You can now track the status of background contracting jobs. The spinner provides visibility by showing your contracting job progress. Add this component to your existing order page layouts. Salesforce CPQ order products now show the prorate multiplier field. This field inherits its value from the quote line and is used to calculate the order product’s total price. You can no longer create a contract from percent of total, covered, or bundle products at the order product level. Instead, create a contract with these objects through the order record. Dynamic Invoice Plans offer more flexibility for how and when you bill customers. Define dates, service periods, or project milestones that are outside the standard monthly, quarterly, and annual billing cycles. For example, you can bill 10% of an order product’s total amount upon activation, 25% on first delivery, and the remainder after final delivery. Our tax calculation process lets you estimate tax for your credit notes and debit notes before you apply it. If you need to change fields that factor into tax calculation, you can do so before you commit tax to the credit note or debit note record. Useful reporting tools and out-of-the-box templates show snapshots of your accounts and transactions, and provide examples of how Salesforce Billing can help you work better. The updated Payment Center offers a more intuitive and faster process for settling accounts. Customers have more flexibility for paying all or part of an invoice, crediting an account, changing credit card or bank details, and tracking payments in a simplified, intuitive user interface. If you have usage ratings that are defined by another source, or charges not covered by standard usage ratings, you can include them as prerated usage. So what do these changes mean for Salesforce customers? Salesforce.com’s CPQ and Billing is an offering that will only continue to get better. With an automated, end-to-end, quote-to-cash-solution, expect your business to see accelerated sales cycles, more closed deals, and quicker revenue recognition. Are you struggling to get the most out of your Salesforce instance? Learn how we can help match you with a SFDC expert to help you get the most out of your investment.